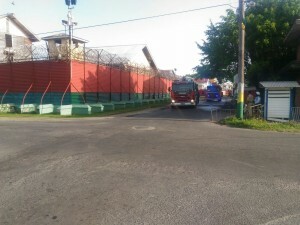 Several system defects at the Camp Street Prison give rise to the possibility for prisoners to escape their dorms and ultimately the prison compound. This is according to the testimony given by Camp Street Prison Officer Dekanna Benjamin when she appeared at the Camp Street Prison Commission of Inquiry on Tuesday. The officer stationed in the Operations Room told the COI that several integral flays in the system could give rise to the possibility of a prison escape. While the officer detailed the flays at the COI, for security purposes, that information is not being released to the public. Benjamin told the commission that the flaws have been present for “three to four months” with others for a longer period. Asked what would be needed to ensure that there was no prison breakout, the first thing mentioned by the officer was more staffing. 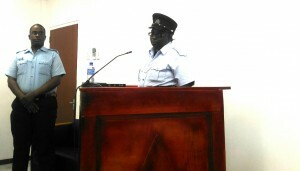 It has been explained that the prison at some times, has a ratio of 500 inmates to only two prison officers. Also on her list of things to improve security at the prison were more monitors for cameras and more telephones in the Operations room. She said that it was not possible that a prison officer could have started the blaze given that it was started inside of the dorm as opposed to outside if it were to be started by an officer.